DW1 This gate is made with heated solid steel that has been shaped and hammered in our forge. DW2 B.A. 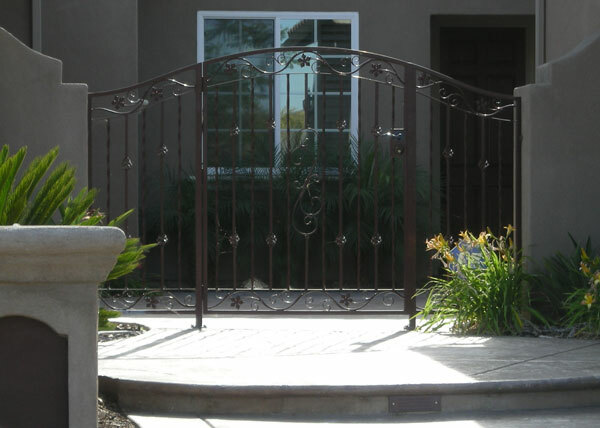 Ramirez & Sons installed this arched steel entry gate in Chula Vista, CA. 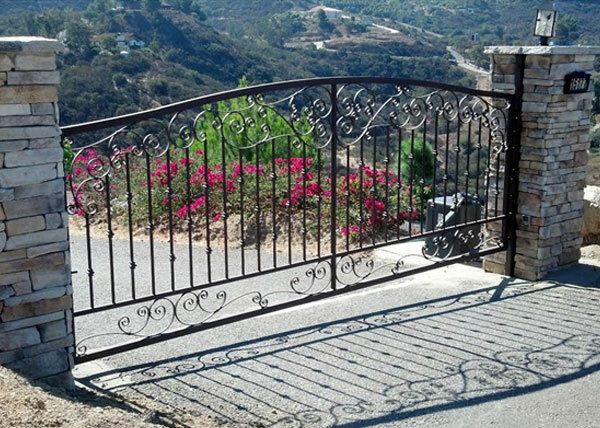 The Mediterranean style gate features hand forged "S" scrolls and basket designs. 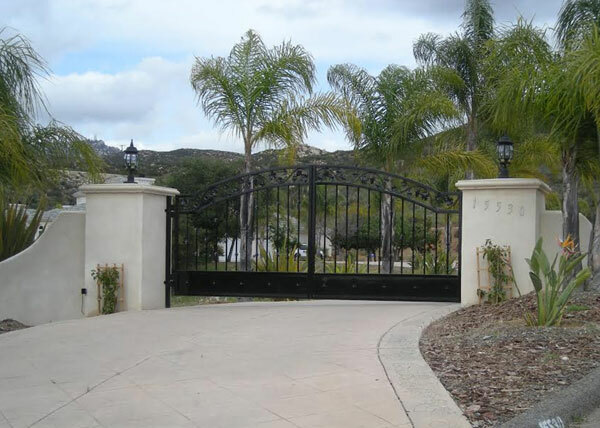 DW3 This arched steel gate was installed in Chula Vista, CA. 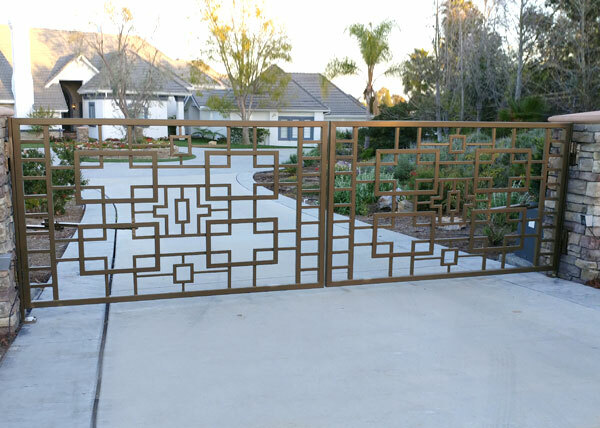 Prior to completion, our client asked if they could see their gate. This is the uninstalled finished product. 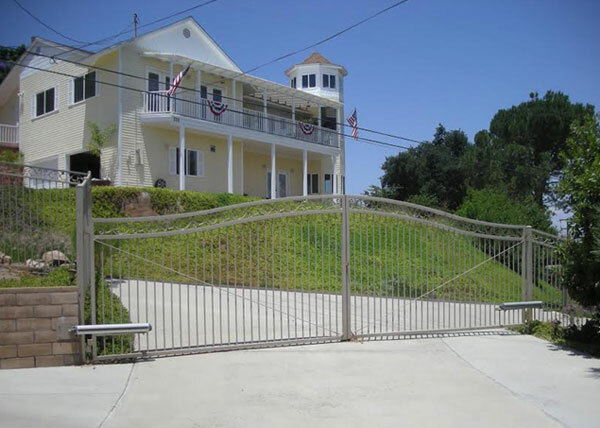 DW4 This Spanish arched automated gate in Jamul, CA is made from square tubing. The scrolls on the gate are hand forged and the gate is powered by an automated operating system. 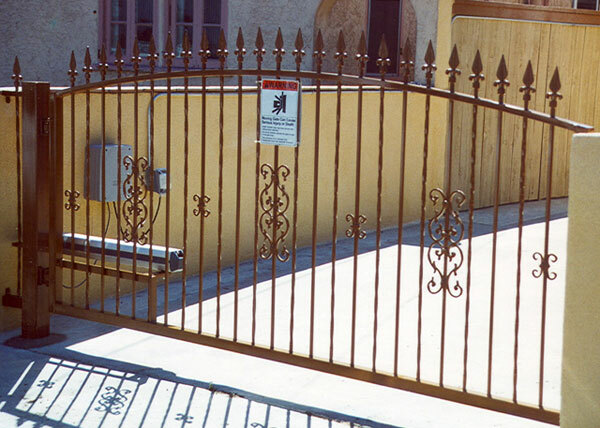 DW5 This steel gate installation in Escondido, CA features a Spanish style steel gate. A privacy screen has been added onto the back of the gate to keep pets in and provide privacy. 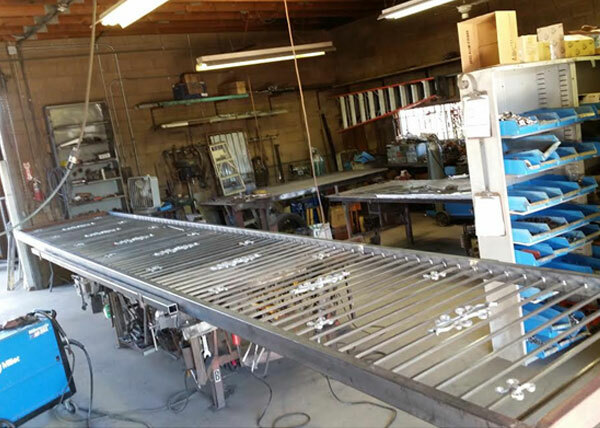 DW6 This is a modern steel gate being built in our fabrication shop in Chula Vista, CA. 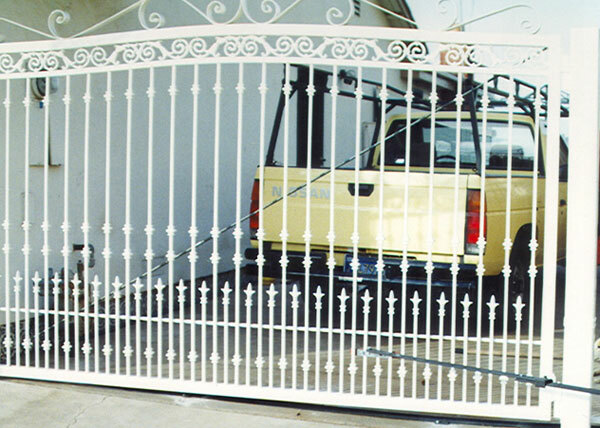 The gate was constructed from steel tube framework with aluminum designs. It's almost finished but not yet painted. 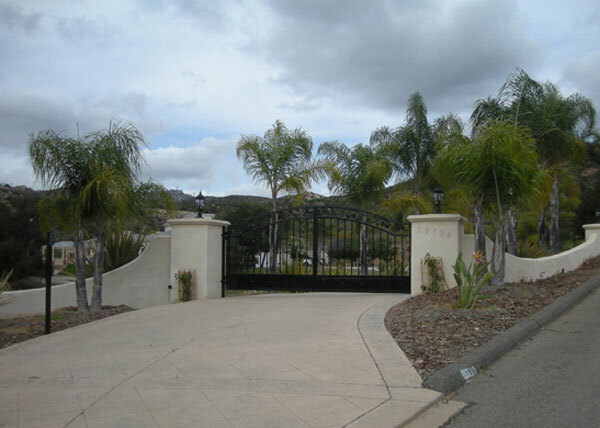 DW8 This residential driveway gate in Chula Vista, CA is powered by a Lift Master system. The arched gate features decorative oak leaf castings and knuckle designs. The custom powder coat finish blends nicely with the color of the house. 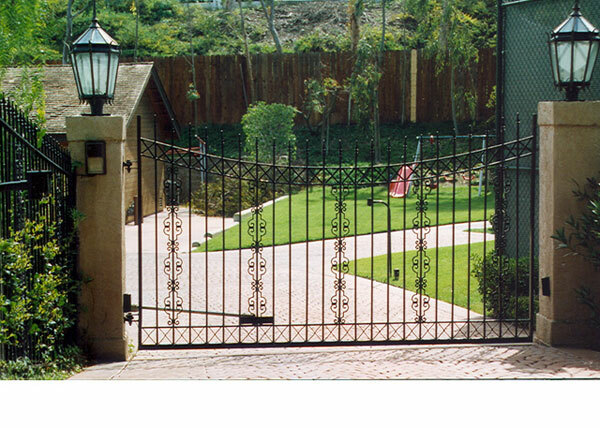 DW11 We installed this residential automated gate in Bonita, CA. 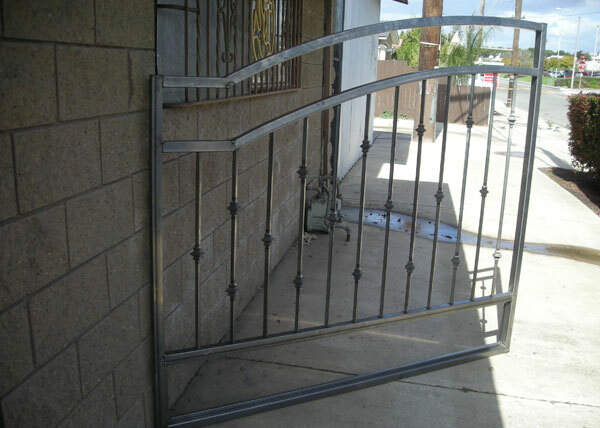 The custom double leaf gate was constructed from hand forged steel and is powered by Ram Set heavy duty operators. 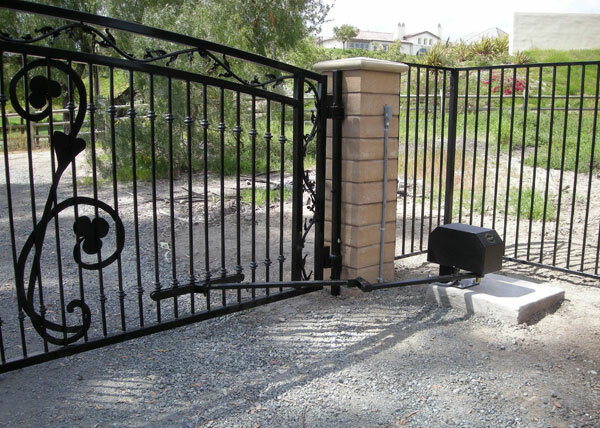 It's designed to open "uphill" with special hinges that lift the gate as it opens. 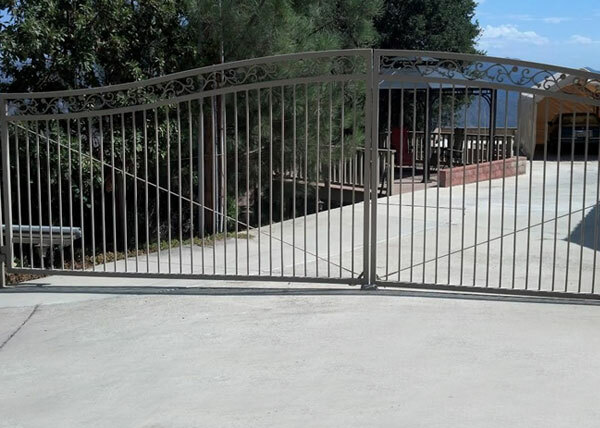 DW12 The simple modern automated gate in Alpine, CA completely met our client's needs. 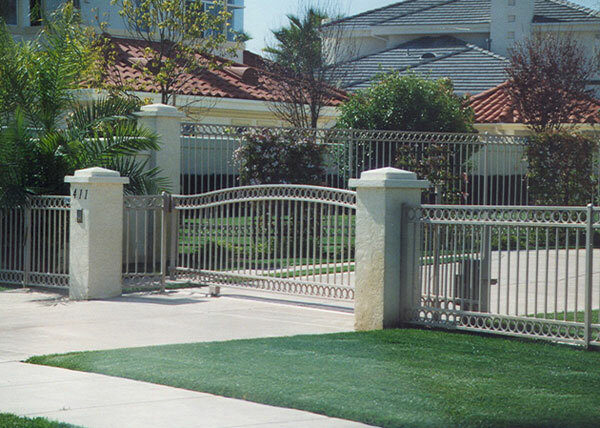 The gate offers security for their property and the design was exactly how they wanted it. 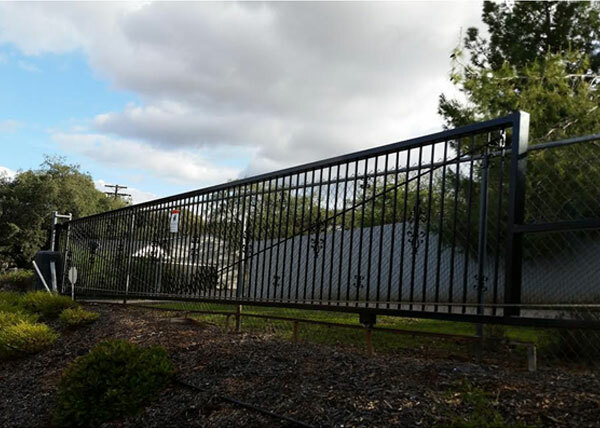 The Ram Set gate operator allows this 35 foot long gate to move smoothly on its track. 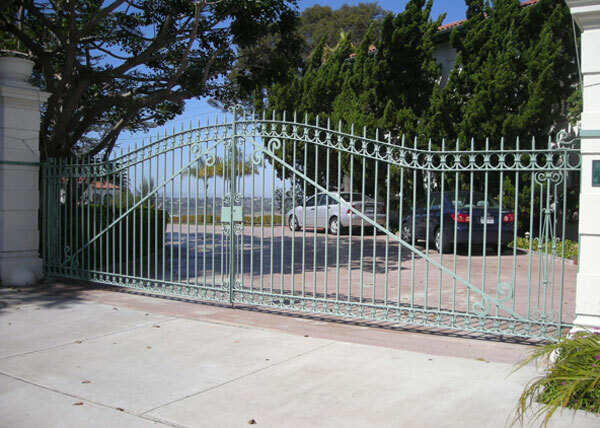 DW13 This automated steel gate in San Diego, CA is powered by a Viking gate system. The chain driven gate is opened using radio transmitters and the Viking operator has battery backup that allows it to continue to function in case of a power outage. With a 2" steel tube frame and 5/6" pickets, this steel gate will last many years. DW15 This beautiful arched gate installed by B.A. 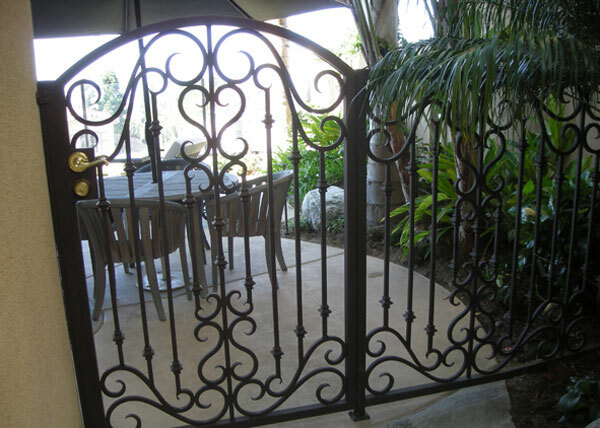 Ramirez & Sons features a hand forged grape vine design below the upper horizontal. 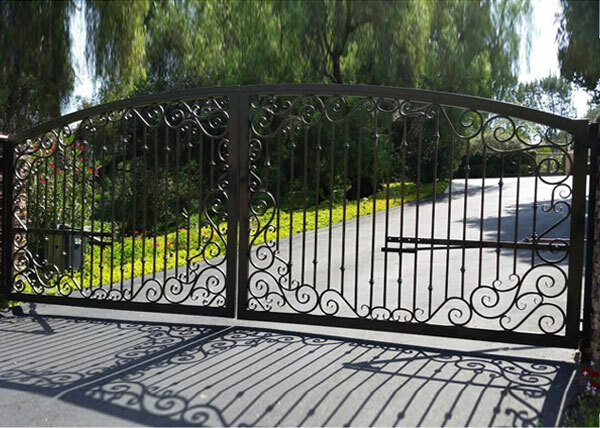 Ornate knobs that decorate gate's lower steel plate enhance the style of the gate. 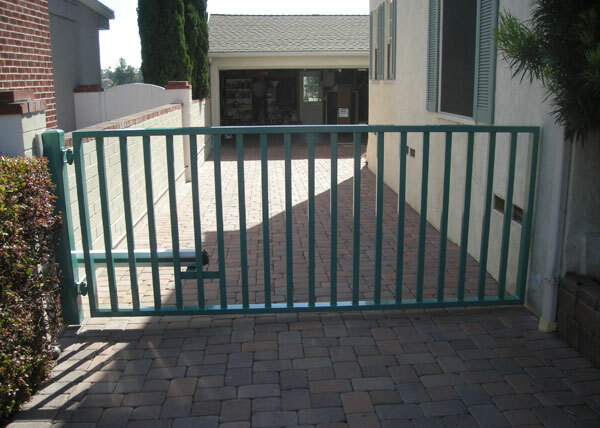 DW16 We installed this simple yet modern automated driveway gate in San Diego, CA. The gate is made with a 1.5" steel tube frame and 1" steel tube verticals, and is powered by a Liftmaster Miracle operating system. 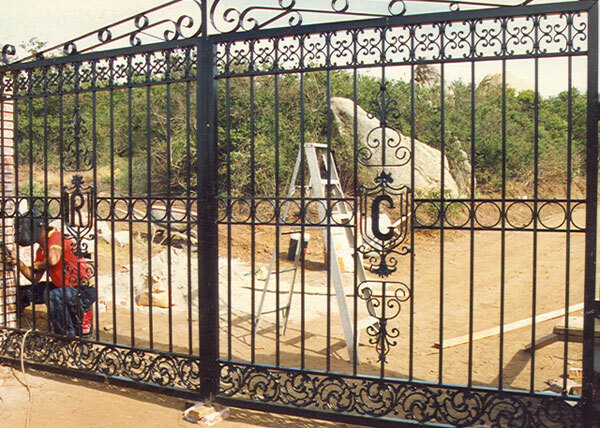 The gate was finished with a powder coat baked on paint. 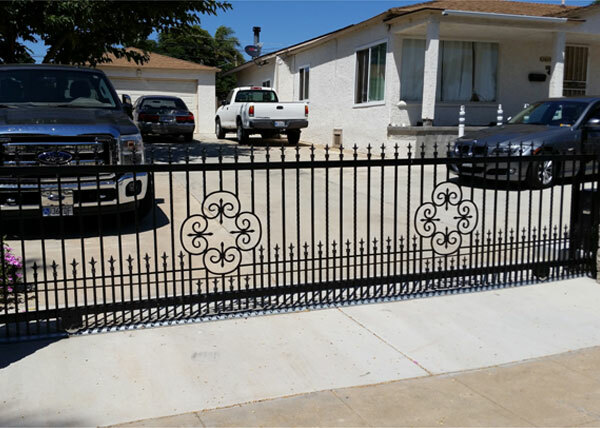 DW17 We custom built and installed this driveway gate for a home in El Cajon, CA. 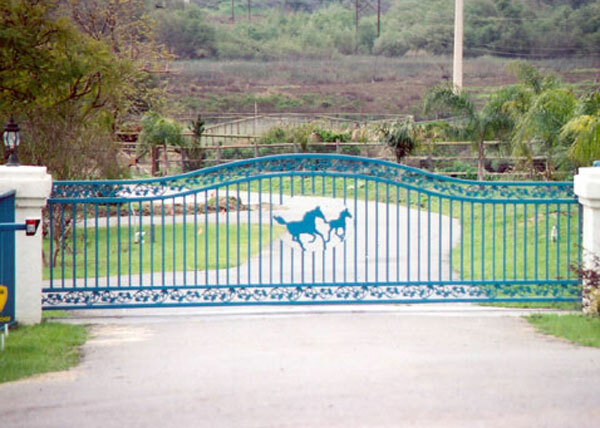 The automatic gate is built with a 2" steel tube arched frame and ⅝" verticals, and is powered by an Elite SL 3000 operating system. 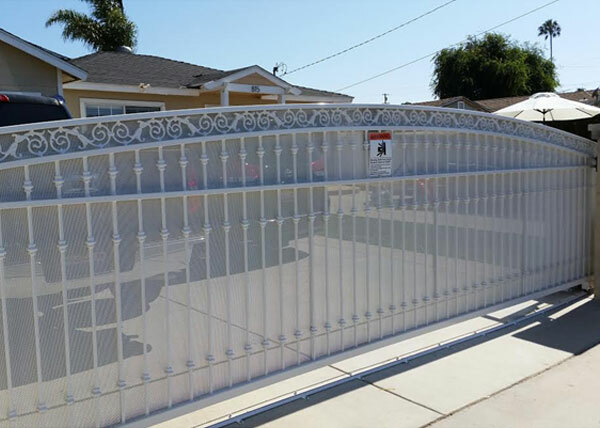 We added doggie pickets along the lower part of the gate and the home address to give our client exactly what they wanted. DW18 B.A. 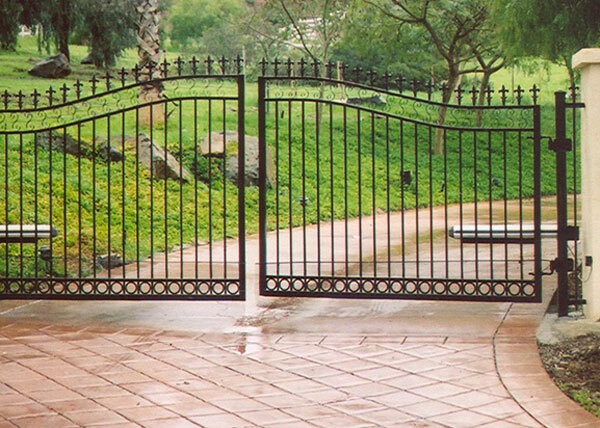 Ramirez & Sons is the best choice for custom built driveway gates in Chula Vista. 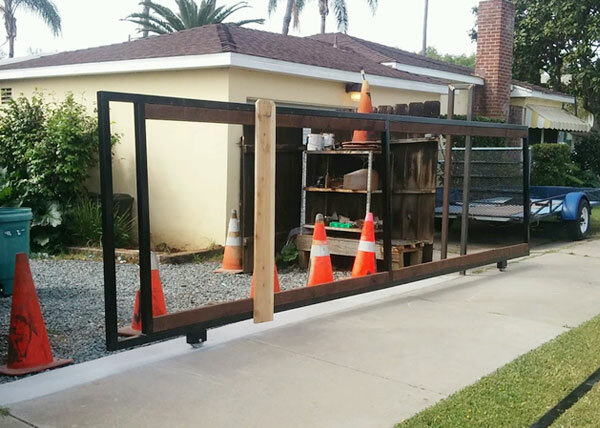 This picture shows the frame of a driveway gate that was built using 2"x2" x 120" steel tubes. The frame will have wood mounted to the surface and a light stain finish to create a sturdy and beautiful driveway gate. DW19 B.A. 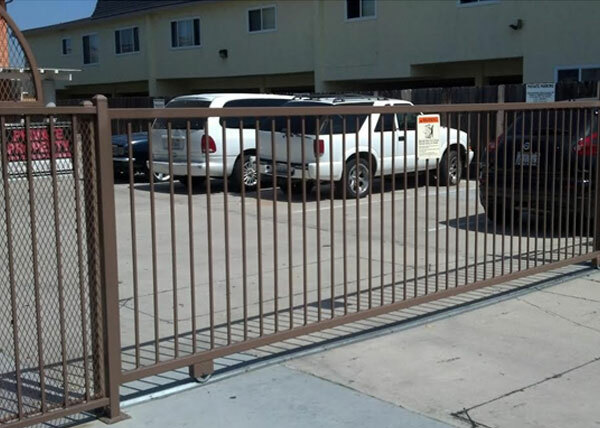 Ramirez & Sons installed this double swing gate in El Cajon, CA. 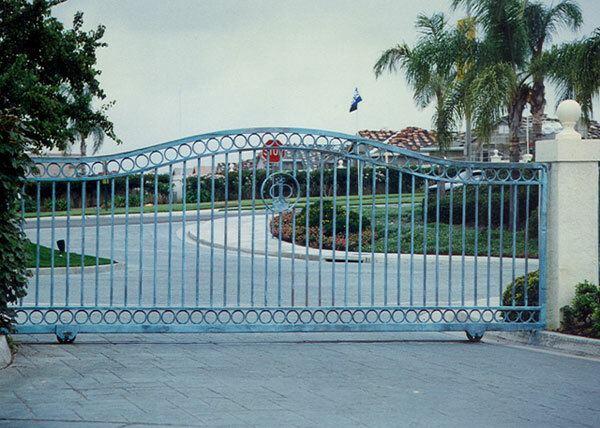 The arched steel gate is made using a 2" steel tube frame, ornate castings below the upper horizontal, and &frac58;" pickets. The beige powder coat paint finish matches the home nicely. 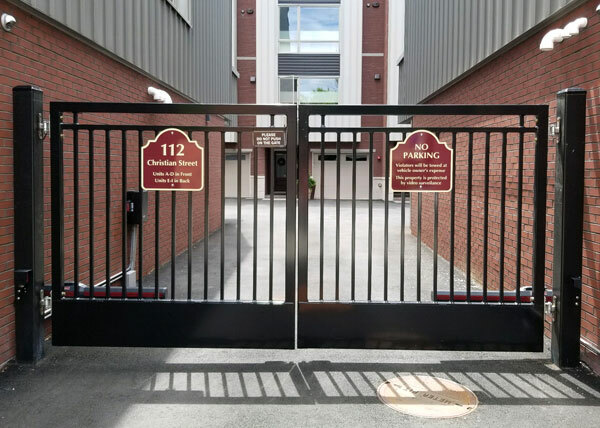 These steel gates open and close with Liftmaster Miracle operators and include a battery backup in case of power failure. 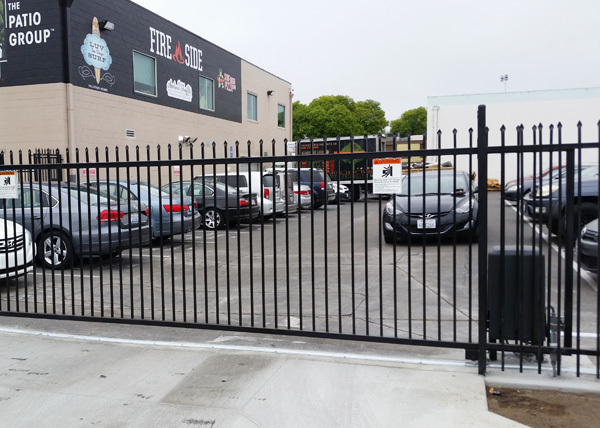 DW20 We fabricated and installed a large 18' x 6' slide gate in downtown San Diego. The gate is powered by a Liftmaster CSL 24U operating system. The system runs on low voltage 12 volt power. 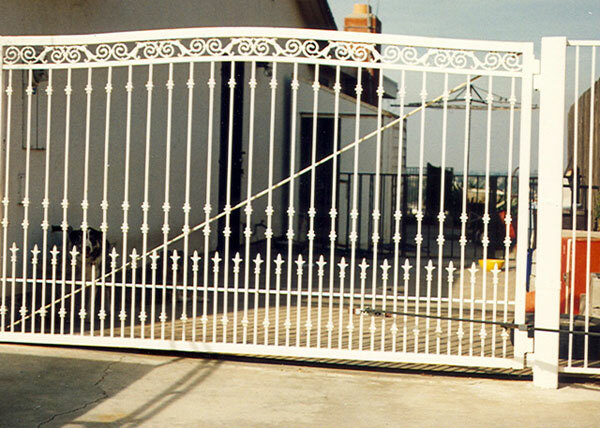 The gate is made using a 2" x 2" x .120" steel tube frame. All the welds are wrapped for strength. The vertical pickets are made from 3/4" steel tube. 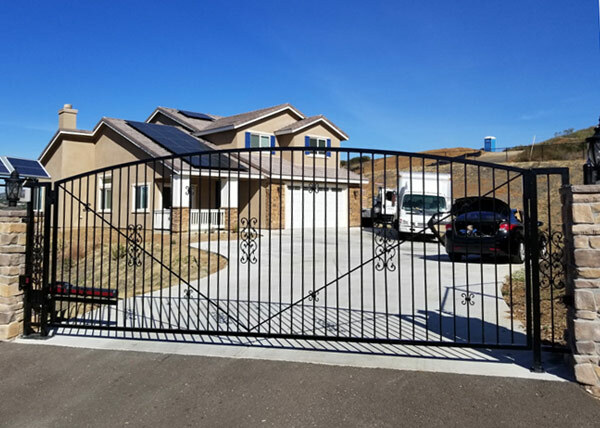 For safety, there are reversing gate sensors set in ground on both sides of the gate as well as a safety eye that will reopen the gate if someone walks through while the gate is closing. The gate is coated with powder coat zinc primer and a black finish coat. 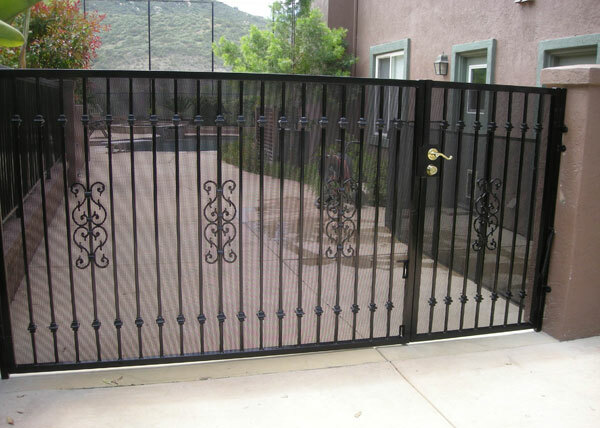 DW32 We installed this solar powered automated gate in the El Cajon/Alpine area. It includes a Liftmaster LA-500 system, with 20 watt 12 volt solar panels for extra charging power. The 1.5" x 1.5" steel tube frame and ½" steel pickets were finished with a zinc primer and powder coating in medium brown. 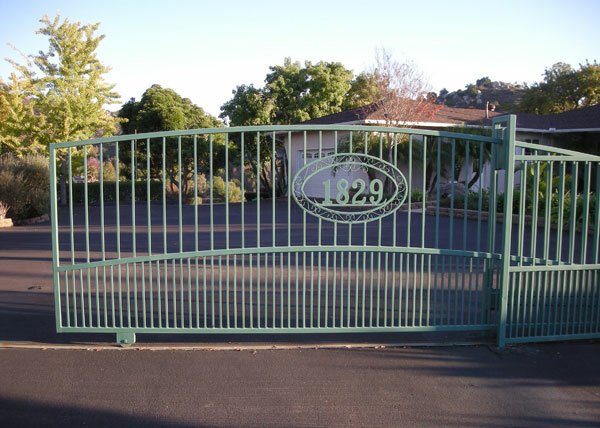 DW33 This double leaf automated gate system in San Diego was designed and installed by our expert team. We constructed it using heavy walled steel tubing. It was built to open and close using Liftmaster LA 500 operators. 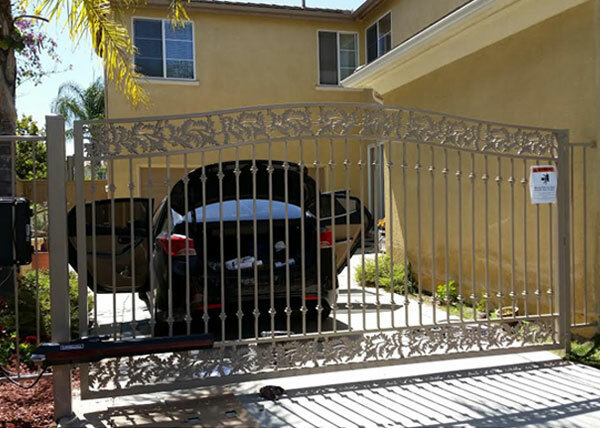 DW34 We crafted and installed this modern-style driveway gate in Rancho Sante Fe according to our client’s custom design preferences. It features a steel tube frame construction and is powered by two Elite/Liftmaster SW series operators.